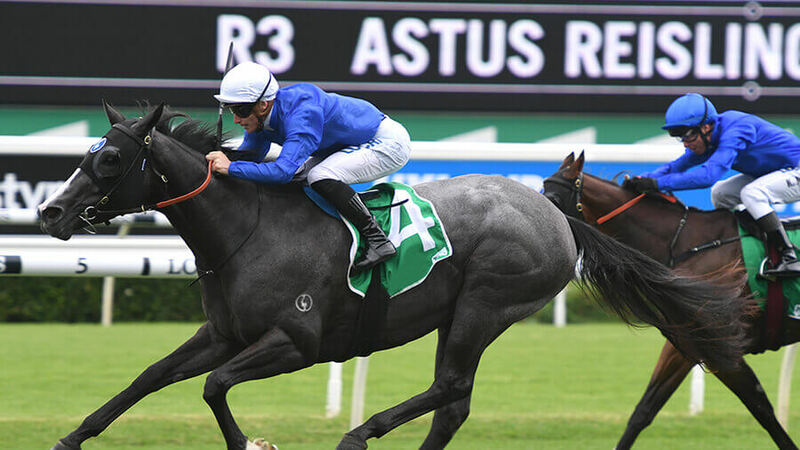 Form student, RIC CHAPMAN, details the hopes of every runner in the Group 1 Golden Slipper at Rosehill on Saturday, with horse racing tips for the first four. Read on to see how he maps and assesses the race. Good luck, punters! Looks a brilliant galloper. Has drawn the extreme outside here but tends to get back and the draw may prove a blessing in disguise. Ran a phenomenal time to win the Gr 2 Todman, a great lead up to this race. Has a wonderful fast, long stride and hits the line very hard. Big show. Last time this horse drew the rails was at Flemington in a stakes race and he won with his head on his chest. He has tactical speed and will hunt up here, probably be 4th or 5th on fence tracking the speed to the bend. Most runners will roll off as they turn so he should get a charmed run through. The rails draw has won more Slippers than any other gate. His last start was a runaway Gr 2 win in the Skyline from Cosmic Force. Big, big danger. Has won at Gr 2 level over 1100m in wet conditions at this track. In fact, in two starts here to date, he’s won comfortably both times. Up until last run he was considered a real, live genuine chance but that run last start when thrashed by Yes Yes Yes was too bad to believe. Ran 6th beaten 5 lengths. Has worked the place down since and his older sister did win this race….in the mud. Worth a place ticket. Prior to the Gr 1 Blue Diamond last start he was unbeaten showing tremendous speed to lead all the way. Couldn’t find the front in the Blue Diamond but was very brave, battling away for 3rd after reaching the front momentarily in the straight. This is lengths harder but has talent. Is a rising star and is going to be in this finish. Chased home Microphone when 2nd in the Gr 2 Skyline, then absolutely donkey-licked his rivals on a Heavy 10, which he will get here, last week in the Gr 3 Pago Pago. Won with his head on his chest and clearly loves the mud. Gets the perfect draw here too. Is very smart and honest but has been set a task here from this wide gate. Ran fast time in QLD to win the lead up to the Magic Millions, then very brave when 2nd in that race to Exhilarates. Spelled and came back with gutsy 3rd to Yes Yes Yes in Gr 2 Todman. Draw makes it very hard. This is the dark horse. She is unbeaten in 3 starts this preparation culminating with a brilliant come-from-behind win in the Gr 1 Blue Diamond. Sat 3-wide all way prior to that to claim big lead up race. Might just be very special. Has since won a trial effortlessly. Will get back, probably about 10th to bend but is very strong late, a huge asset in the mud. Looks tested. Ran race of her life to finish 2nd in the Gr 1 Blue Diamond at $41 then slowly away, raced wide and didn’t handle the heavy track or the Sydney way when 10th to Kiamichi last week. No. This might be something rare and special. Many insiders within Godolphin rate her as their very best. And no wonder. Three stats to date have been victories including an incredible display of finishing power to win the Gr 2 Reisling in sizzling time, racing away from the Magic Millions winner Exhilarates. Has drawn perfectly and probably races in about 8th spot with cover. If she handles the wet, she rockets home. Only 2 runs into a career that promises so much. Is unbeaten to date and could not have been more impressive racing away to win the Gr 3 Black Opal by nearly 5 lengths last start. Had the perfect run that day and must be fitter now. Gets the great draw again and could surprise at big odds. Sat on speed at Randwick and fought on too hard to win the Gr 2 Sweet Embrace before backing up a week later and being handled by Tenley and Exhilarates in super fast time. This is even harder again but has the good draw. Is very fast and is super strong. Bounded from outside gate and just exploded across the face of the field to lead the Gr 3 Magic Night field all the way home last start in Heavy 10. So knows how to win, knows how to handle the wet and is very fast. Will have to go hard from this gate and may just be 3 clear as they turn. Will run a race at big odds. Nice filly who won the Gr 3 Gimcrack and Gr 3 Blue Diamond Prelude but 2 subsequent runs has been thrashed by Lyre. Looks tested here. Queensland’s star filly. After two huge wins there came to Sydney and was on the pace all way in a fast run race only to be thrashed late by the impressive Tenley. Drawn a bit wide and as such will probably not find the rails and there will be great speed on early. May be found wanting final 125m. Has already won $1.3million in stakes courtesy of a couple of big wins in QLD, the main one when easily winning the Magic Millions from Dubious. Since has spelled and came back with stunning finishing burst to grab 2nd in super fast time behind Tenley in the Gr 2 Reisling. Seems to improve every run. Will go back from this bad draw and run on. This is a particularly talented filly. Won the Gr 3 Blue Diamond Prelude on debut producing a powerful late burst then was as luckless as a horse can be when checked and checked again in the Gr 1 Blue Diamond, winding up 6th to Lyre. Should have been right in the finish. Since won a trial in fast time. Again goes back from this horror draw but will charge late. Maiden galloper who was thrashed into 2nd place last start in the Gr 3 Black Opal by Pin Sec. Aiming too high. Is going to grow into a very smart racehorse. Won at Canberra by a minute on debut then pushed the vaunted Yes Yes Yes to half a length in super fast Gr 2 Todman. Has a ton of early pace. But may not get a run here as he’s 3rd reserve.